Elena: Resilient and ambitious, but trapped by duty to her children. Maria: Passionate and headstrong, but married to a man she does not love. Josephina: Optimistic and romantic, but in love with an alcoholic. Isabella: Clairvoyant and spiritual, but denies her heritage and roots. Like the land these women are held hostage, unfulfilled and unable to find their happiness. Each generation like the land is cursed. Can they defy the powerful bond of the curse and free themselves to find love everlasting? New author, Olivia Castillo, like the jibaros of the past weaves a tale of sorrow and joy. Castillos’ fiction is timely, offering a glimpse into the islands rich history and offering insight into the story that has plagued women for all of time, the search for true love and acceptance of self. Mornings like this one weren’t easy, but at least Elena knew what to expect: the hard work, the studying, the silence from her father. Little did she know how much she took his presence and influence in her life for granted. Like a machete slicing through coconut, life would change for all of them in an instant in the year of Elena’s fifteenth birthday. 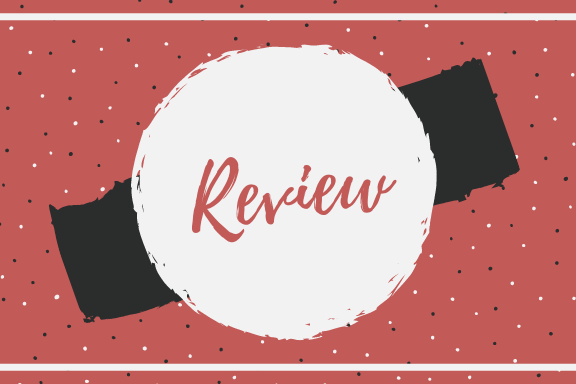 Unbeknownst to them, their time with her father was limited, and the end of life as she knew it drew to a close with speed that would have overwhelmed her, had she realized what was coming. One evening as Miguel was walking home from selling another load of sugar, he was hit with a wave of pain so intense his breath left him. Clutching his chest, he collapsed, his last thought being only that he would not be able to be home for dinner that evening. His sudden death shocked everyone, and Catala had to take over to make ends meet. She was in shock, overwhelmed by grief. Her days became a blur. It was too painful to truly acknowledge that her husband was gone. Catala tried to get work as a teacher but to no avail. 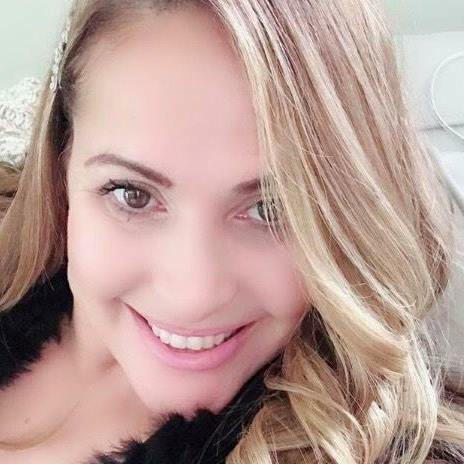 She also tried to use her connections with La Treinta, but by then most of those women had left Puerto Rico or were struggling themselves. The time for revolution had passed for Catala. They moved into an even smaller home—barely a house—nearer to Old San Juan, which had more job opportunities. She went to work for an American factory doing needlepoint but could barely make a living with her meager earnings. Their savings had disappeared. Elena had to stop school to work also, sewing clothes for wealthy Americans while her mother worked at the factory. Still, Elena refused to give up on her dream. She continued to study from the books she had after her sewing was done, and on the rare nights that she could escape, Elena would wander through the zigzagged streets of Old San Juan, mingling with the diverse crowds, lost in her own little world. She would hear the sound of a horse and carriage on the cobblestone taking its passengers to some mysterious destination for the night and wished to be in that carriage going to a fancy dinner. Even though there were motorcars, horses and carriages were still used, and she imagined there was a sort of romance to riding in a carriage, taking in the sights as the horse clopped along. She would walk the extra half mile to El Morro, the famous old fort, just to have some extra time away from her problems at home. Olivia Castillo is a New York native. After going to the prestigious Fiorello H. Laguardia High School of Music & Art and Performing Arts, she went on to study graphic design at Otis Parson's College in Los Angeles. Along with being an entrepreneur, she is the mother of three children, and grandmother of two. When not writing or spending time with her family, she travels the world and paints. 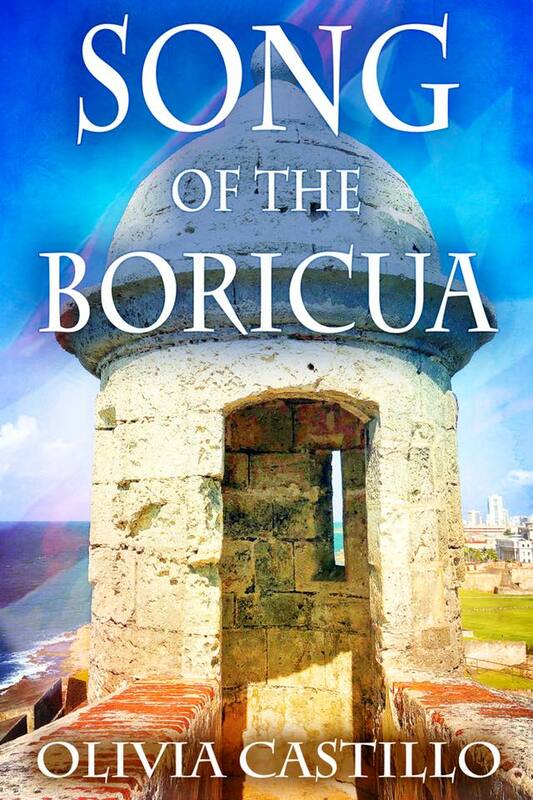 Songof the Boricua is her first novel. 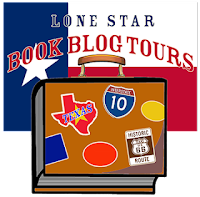 Many thanks to Pump Up Your Book Virtual Tours and Olivia Castillo! It was a pleasure hosting! And be sure to check out the other stops on the tour for more opinions and extras! This book is the celebrated prequel to the critically acclaimed, nationally award-winning and bestselling memoir, Never Give in to Fear. 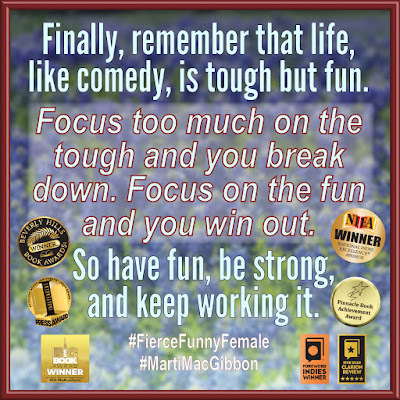 In her raw, vivid, and unabashed style, author Marti MacGibbon delivers a sometimes heartbreaking, often hilarious, always engaging account of her passage through trauma, betrayal, and loss in adolescence and young adulthood to discover her inner badass self. 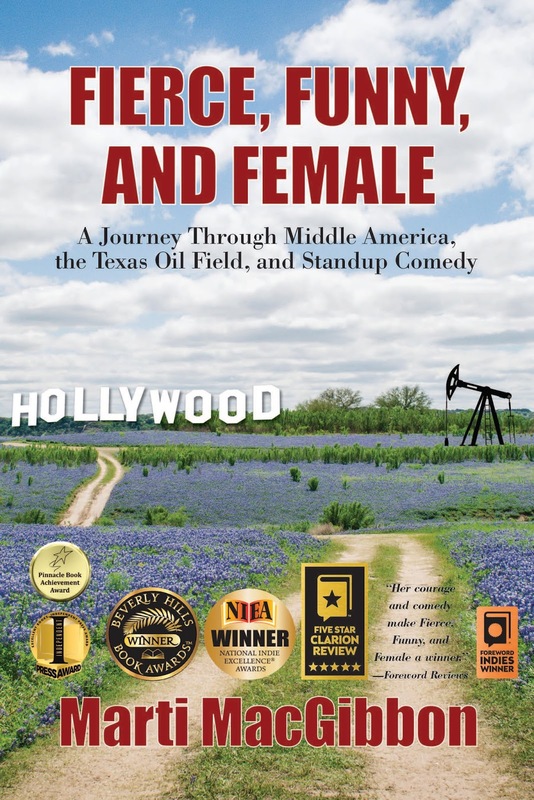 As one of the first women to work as a laborer in the Texas oil field, she set off explosives and staked oil wells before realizing her childhood dream of becoming a successful standup comic. 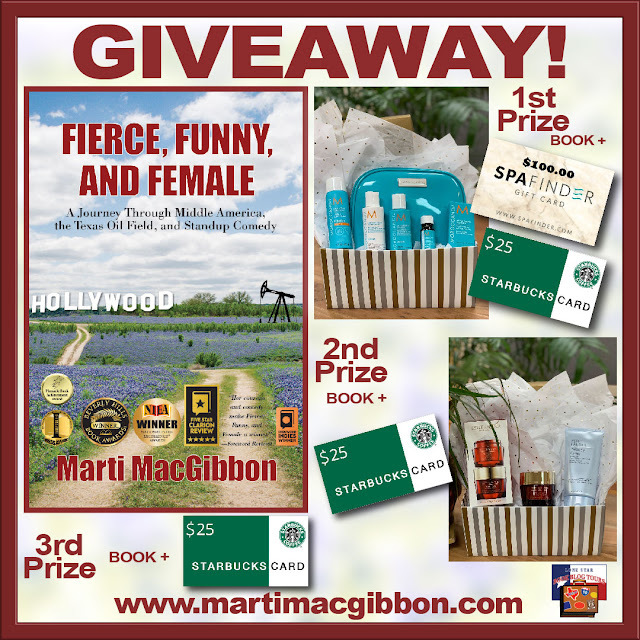 Marti introduces readers to a wide range of characters in her life: from sleazy authority figures, wannabe Sixties musicians and crazed Corn Belt cult leaders, to Texas oil billionaires and wildcatters, to wild-eyed redneck coworkers who robbed banks on their lunch hour―in the company truck. 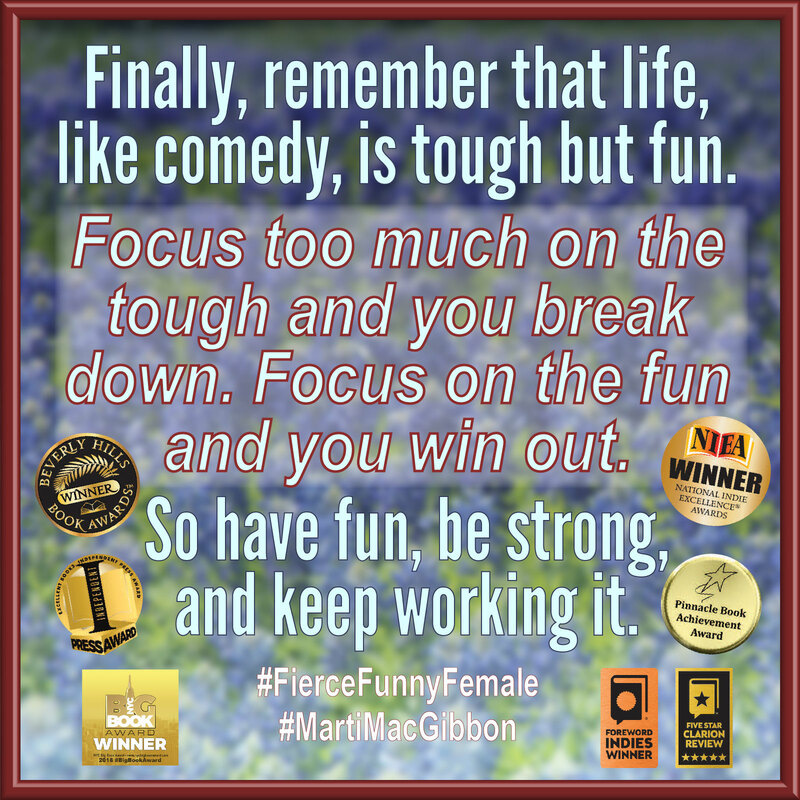 The book includes scenes with iconic comedians, Hollywood entertainment industry moguls, and a legendary bluesman, and offers insights into resiliency, courage, and self-empowerment. 1. Friendliness. The Lone Star State’s got this down! My Texas friends taught me the true meaning of friendship and how to be a better friend. And Texans showed me what is means to be a true friend forever. 2. Mesquite wood is the best for barbecue. And it’s the worst to cut through, especially if you get whacked by one of those big ol’ mesquite thorns. 3. Music. Texas has given the world tons of rock, country, blues, R & B, hip hop, and pop stars. When I got to Texas, I was down and out. I needed music, and the Lone Star State gave me lots to choose from. 4. Food and Cooking. Texas showed me how to grill anything, barbecue all kinds of meats, bake pecan pie, cornbread, fruitcakes, and more. I learned the correct way to fix fajitas, tacos, enchiladas, fresh salsas, pico de gallo, chile con queso, guacamole, and chicken fried steak, among other things. 5. Never give up. That’s one of the best life lessons I ever learned, and I learned it in Texas. 6. Work hard. Play harder. Repeat. 7. You can see just about every kind of life and landscape in Texas: mountains, rivers, creeks, ocean, beaches, bright lights, big cities, small towns, wide country spaces with magnificent starlit skies, all kinds of weather, bayou, desert, all kinds of wildlife, wild flours, and wild night life everywhere. 8. Laugh in the face of challenges, adversity, and failure. Then fight on through. 9. You can build your strength by combining it with toughness, kindness, and flexibility. And your strength will last. 10. Texas taught me what it means to “work smart.” When you believe in yourself, think for yourself, and stand up for yourself, you’re working smart. 11. Be generous. If someone asks you for help, help them. Stand up to bullies. Help your friends, and help strangers, too. Don’t be afraid to show generosity to a colleague or even a potential competitor. Many thanks to Lone Star Book Blog Tours and Marti MacGibbon! It was a pleasure hosting! And be sure to check out the other stops on the tour for more opinions and extras! Take a wintry trip to the harbor in this holiday novel. The town of Moonlight Harbor needs to convince tourists that the beach is still the place to be—even when the sunshine goes south for the winter. Jenna Jones, new proprietor of The Driftwood Inn, has the perfect idea: a holiday festival called Seaside with Santa. Jenna is happy to throw herself into planning the event. With all the decorating, preparation and extra reservations at the inn because of the festival—and with two wonderful but very different men hoping to claim more of her time and her heart—Jenna is busy. Busy, but happy. Even with her troublesome ex in the picture, life feels as close to perfect as she’s ever known. Until the weather turns her festival into a farce. Suddenly Mother Nature is not only raining on Jenna’s parade, the old bat’s trying to blow the floats and their princesses out to sea. Soon everyone is without power and the road out of town is blocked. And Jenna has a full motel. After the generator conks out, she’s not so sure she and her guests will make it through to the New Year in one piece. But with a little pulling together and a lot of holiday spirit, everyone might find that life—and Christmas—is always good at the beach. 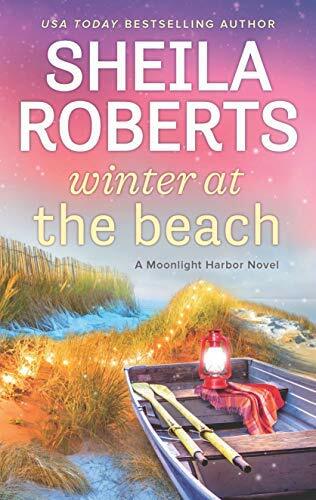 Once again, this is another fabulous book by Sheila Roberts and a solid sequel to the series! I was pleasantly surprised to see that the story still focused primarily on Jenna rather than make her an outlier while a previous secondary character took the spotlight, as was the case with the author's Icicle Falls series. But this decision feels fitting as Jenna's drive and enthusiasm continue to inspire, showcasing just how important this community has become to her as well as the hotel's welfare. In hindsight, it seems silly that the town wouldn't have already had a holiday festival available to drive tourism during the winter, but whether she thinks so or not, Jenna has truly cemented herself as a leader that will definitely put Moonlight Harbor on the map! They need her just as much as she needs them, and I can't wait to read more! There are plenty of tear-jerking moments, but I love how the author is able to find the humor in it all without losing the sense of compassion we all need to feel in order to face such tragic circumstances. The story never loses its ability to convey a sense of hope that powerfully comes from the understanding of those who have also experienced similar situations if not worse. And in the author's deft hands, these fictional characters become masterfully relatable and delightfully engaging. Happy endings come together in a heartwarming tapestry that makes this a perfect selection to curl up with this season! Plus, the included recipes will set your mouth-watering and have firing up the oven to bake up all those cookies just in time for Santa! 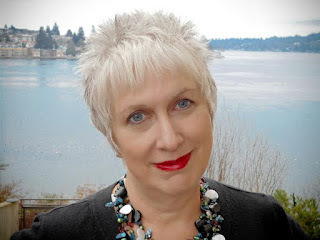 Many thanks to Pump Up Your Book Virtual Blog Tours and Sheila Roberts! It is always a pleasure reading, reviewing, and hosting! 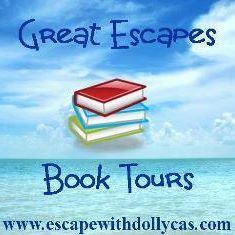 And be sure to check out the other stops on the tour for more opinions and author extras!